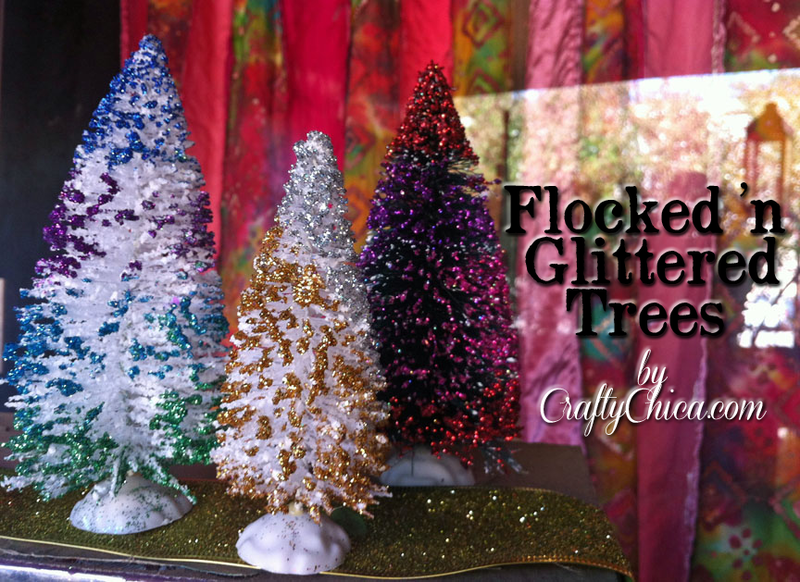 I recently came across these cute flocked trees at the craft store and scooped up a few. I knew I'd revamp them, my first thought was to cover them in gems and crystals, but for starters, I went with GLITTER! 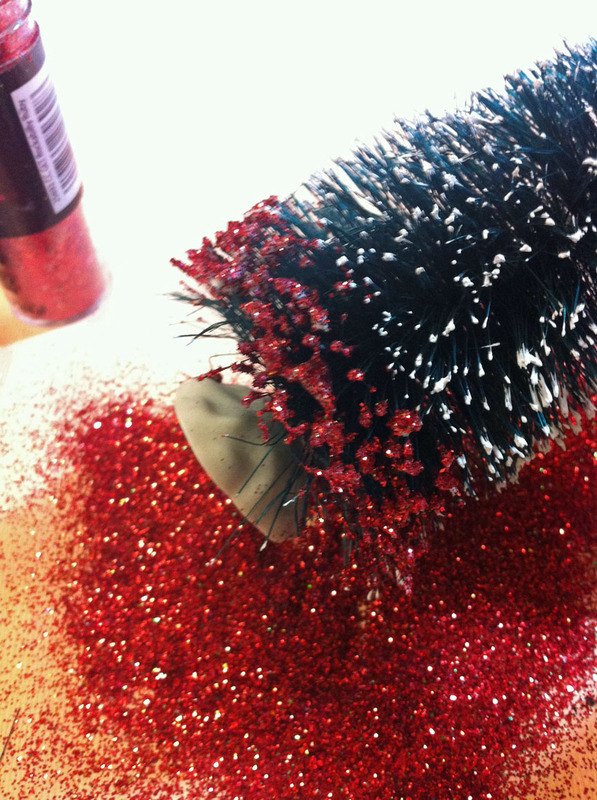 Use the brush to pat glitter around the area. I worked my color in stripes, but you can do blocks, or vertical stripes, anything! 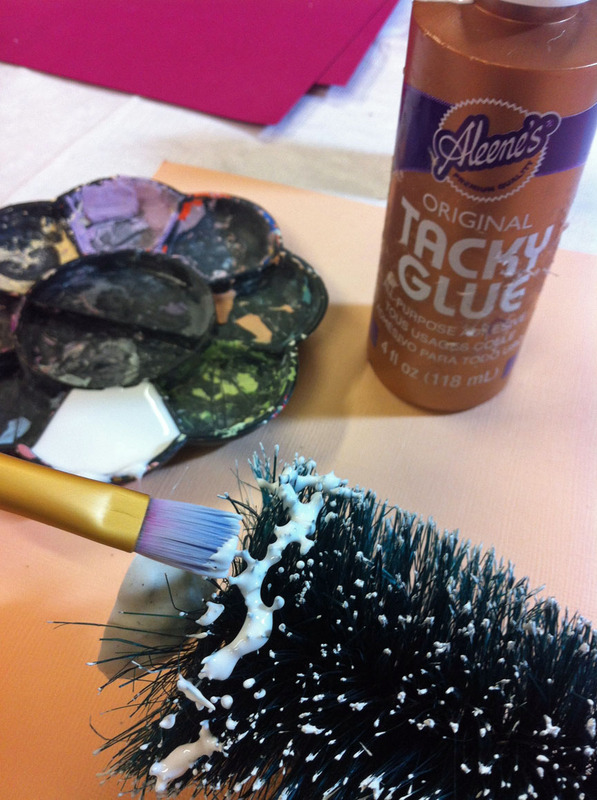 Next, pour the glitter over the wet glue, keep going until the whole thing is covered. Let dry! Do an assortment because they look great grouped together. 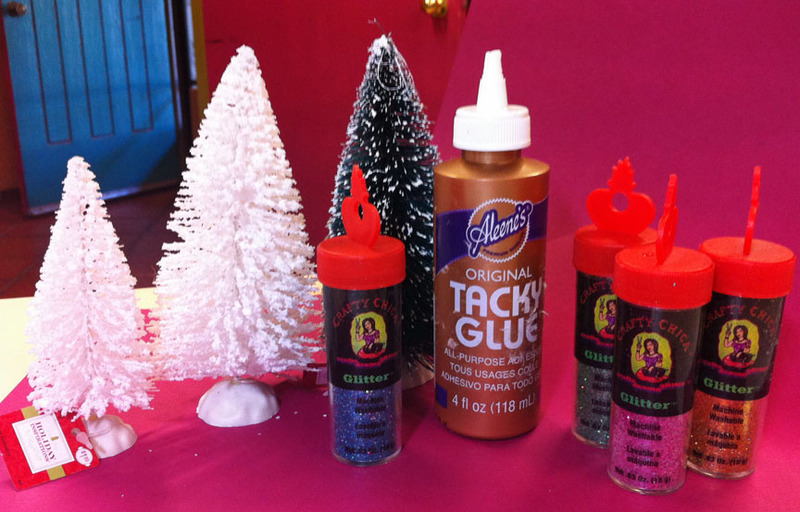 you can also add a little ribbon to make an ornament to use as a gift tag. They work great in shadowboxes or just by themselves! 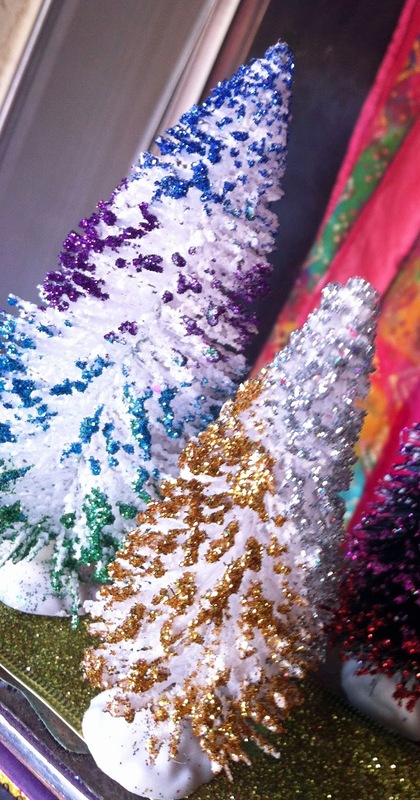 I just bought 5 more of the white mini trees (4" high) so I'll have to try this too. The other day I dyed 3 of them pink, then dabbed white paint on the tips, then brushed silver glitter paint on the tips and the base and they came out great. But I'll try this technique too!!! It's going to be finish of mine day, except before end I am reading this wonderful post to increase my experience.